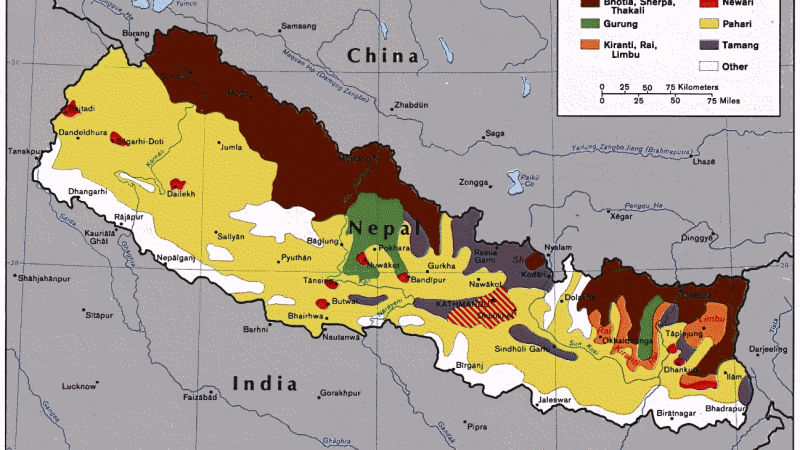 Ethnic Groups in Nepal. Image via Wikimedia commons. Public Domain. Robert Penner, a Canadian man who currently finds himself mired in controversy over a series of provocative tweets, left Nepal after the Nepalese Supreme Court postponed his appeal hearing this week. The Supreme Court had other urgent cases today & was unable to hear mine. I must leave Nepal tonight. 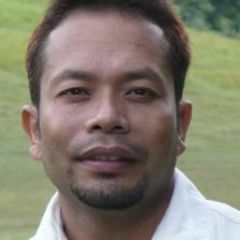 Penner, a principal scientist with Cloud Factory, was arrested on May 2 by Nepalese police and charged with disrupting social harmony with critically worded tweets. Nepal Immigration released me after 26 hrs in custody, cancelled my working visa & gave me 2 days to leave Nepal. Thanks to all supporters. It is not clear which tweets triggered Penner's arrest. BuzzFeed reported that government authorities received pseudonymous Tweets requesting that they “investigate Penner for violating immigration rules and ‘doing politics’ in Nepal.” Penner was arrested a few days later. Nepal's long-awaited new constitution went into effect in September 2015. The new constitution was meant to close the rift between the “people of the hills,” who hold most of Nepal's political power, and the “people of the plains” the Madhesis, who share ethnic and cultural links with people across the border in India. Madhesi activists say they're fighting to defend their own dignity and establish their right to inclusion in the broader national context. The new constitution defines the majority-Hindu nation as a secular republic divided into seven federal provinces. The Madeshis and Tharu ethnic minorities, however, have argued in public demonstrations that the proposed boundaries of the new provinces could lead to their political marginalisation. Penner is a vocal critic of the new constitution, especially what he calls its “citizenship inaccuracies”, and he's drawn attention to the issue by posing questions and arguing on Twitter. In doing so, he's earned himself many supporters and detractors. A sensible man asks sensible questions, and Nepali state arrests him. Robert Penner's arrest brings shame to all Nepalis. Penner's appears to be the first reported arrest of a person in Nepal over messages posted on Twitter. There have been arrests due to Facebook posts and comments, including one case in which a journalist was arrested for allegedly violating the Electronic Transactions Act. Penner also tweeted extensively about the arrest of prominent Nepalese journalist Kanak Mani Dixit by the Commission for the Investigation of Abuse of Authority (CIAA), the government's highest anti-corruption body. 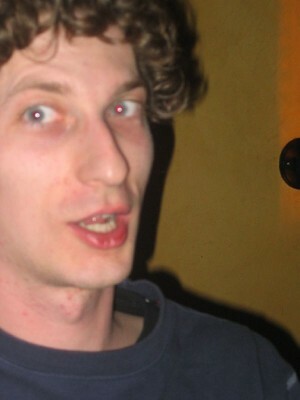 Dixit was released on May 2, the same day Penner was arrested. Both Mr. Penner and Mr. Dixit appear to have been arrested on the basis of personal vendettas held against them by powerful scions of the ruling establishment. They join many more across the country who, in recent months, have been subject to patterns of arbitrary force or detention – for expressing their views about the new constitution, for instance, or running afoul of earthquake relief regulations – by police who seem to act with impunity in the service of vested interests rather than following due process. Not everyone is standing by Penner, however. Harassment, trolls & insults aren't freedom of expression. A white man's immigration violations can't be masked under free speech. Period. Nepal is a country where the head of a leading human rights organization instigates the government to take action against an individual utilizing basic human rights to express himself and an editor of a leading English daily who supports the state denying freedom of expression!!! Arresting and then pressuring Penner to leave the country has generated a significant controversy, but it's not the first time in history that Nepal has forced a foreigner to leave under such circumstances. In 1977, David Holmberg, a professor of anthropology at the Cornell University, was asked to leave the district where he was working during the Panchayat era. David Holmberg-1977 (Panchayat Era) compare with Rob Penner-2016. Though there's no clear national consensus about Penner's case, it has raised many concerns about the state's attitude on free expression. ओलीगार्कीले रोबर्ट पेन्नरलाई देशनिकाला गरो ।अब सामाजिक सञ्जाललाई पनि देशनिकाला गर्ला कि!रोबर्ट पेन्नरहरुले दुःख दिइरहन्छन् ब्रो,लौ गरिहालूँ! Oligarchy ousted Robert Penner from the country. Will now deport social network also! Robert Penners keep on pestering bro, do it now! On May 10, 2016 the Kathmandu Post reported that the Supreme Court summoned the defendants and the petitioner to discuss a stay order in Penner’s case within three days.